ISLAMABAD: A new challenge is calling on young innovators across Pakistan to design solutions that will help improve girls’ knowledge and practice of safe menstrual hygiene. During an event held in Islamabad today, UNICEF and the School of Leadership invited all Pakistani nationals between the ages of 14-24 to come forward with innovative ideas on tools, models and services to enable girls and women to manage their menstruation. Many adolescent girls in Pakistan miss school every month when on their period because they lack both knowledge, and access to proper facilities or supplies, to manage their menstruation in a hygienic way. Applicants from all over the country have four weeks to come forward. Fifteen shortlisted candidates will be invited to attend a three-day design workshop in Islamabad in November. They will be coached and mentored to develop their solutions, using the Human-Centered Design approach. At the end, the five most promising ideas will be selected, with each young innovator receiving up to USD $ 1,000 and two months of coaching to help her/him implement their project. The five projects will participate in a global competition in 2019, with the winner receiving USD $ 20,000 and tailored mentorship support to help her/him scale up the project. The Youth Challenge is taking place in 16 countries worldwide, including Pakistan. 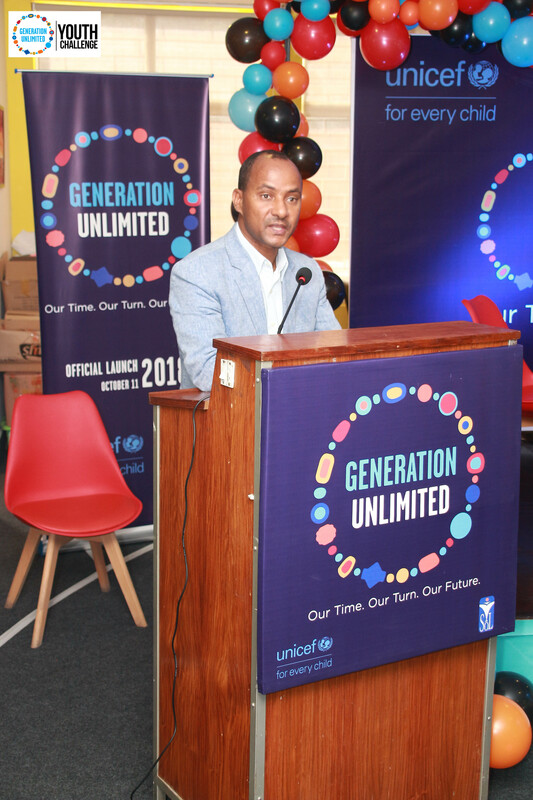 It is part of a new global and regional partnership, #WeTheFuture / #GenerationUnlimited, launched during the 73rd Session of the United Nations General Assembly. The goal is to provide every young person with quality education, training or employment by 2030.